Talya is a freelance writer who has written extensively on the subject of parenting and is the author of the parenting blog Motherhood: The Real Deal which deals with the many struggles of parenthood. 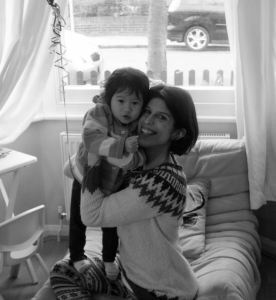 A mum to a very intense toddler, she gave up the working mum role as co-founder and Editor-in-Chief for an online lifestyle platform when she hit 12 months and has sat on both sides of the fence as a working and then stay-at-home mum, grappling with the challenges which come hand in hand with both scenarios. She is fascinated by the many issues raised in parenting and likes to write about ideas that spark debate and discussion. You can also find some of her writings on Scary Mommy, BLUNT Moms, Mamapedia, Mumsnet, Netmums, The Good Mother Project to name but a few. Don't Say This to Your Bridesmaids!